What Christmas season is complete without a reminder of the reason for the season. The Holy Gathering Nativity wall quilt is the perfect way to keep the reminder before you for the entire season. 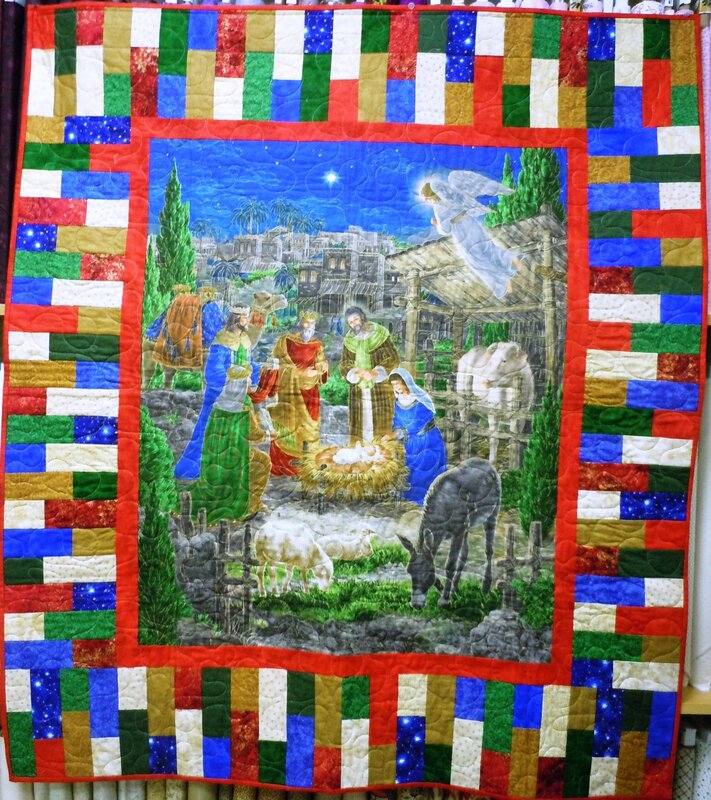 The fabric features the Quilting Treasures Holy Gathering panel and a variety of complimentary fabrics. The kit includes the pattern, panel, and fabric to complete the top and binding.